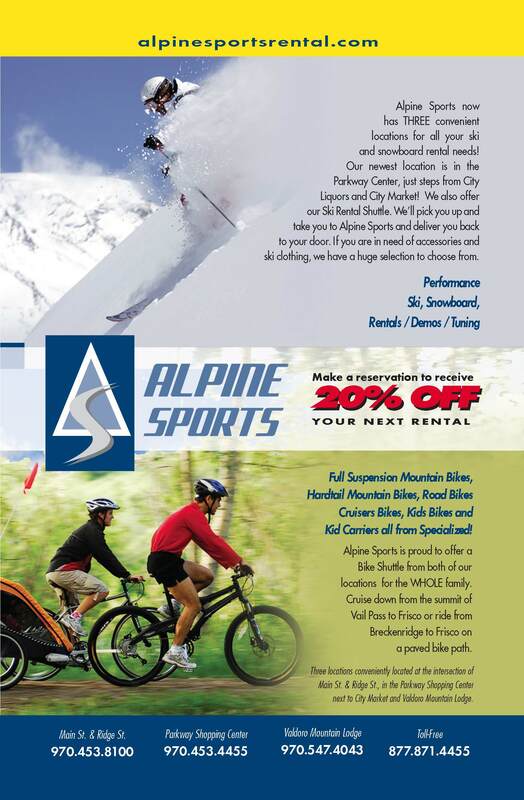 Alpine Sports South is a locally owned and operated ski and snowbaord shop with Three great locations around Breckenridge with lots of parking. We have $200,000 worth of new adult and junior skis, snowboards, snowshoes, snow blades and demos for the whole family. In our retail sections, you will find a wide selection of accessories and soft goods for every condition. We have hats, gloves, helmets, goggles and clothing for everyone. Bring your skis or board into one of our Tune Shops for a tune on our Wintersteiger Mercury by our world-class race technicians to have a better experience on your own equipment. Check here for schedule and rates!